In what some experts believe is a first, an athlete has tested positive for five banned substances at one time! Since baseball introduced drug testing a decade ago, first in the minor leagues and then in the majors, a large majority of those who have tested positive for performance-enhancers and been suspended have not been familiar names. Dustin Richardson, a 26-year-old reliever who was suspended from baseball this week for 50 games, pitched for the Red Sox in 2009 and 2010. Dustin Richardson pitched for the Marlins and the Braves in the minors in 2011. Many have been obscure minor leaguers, perhaps never to be heard from again. The much smaller number of major leaguers who have been caught have tended to be of the journeymen variety. Only a couple of players would qualify as stars. So when it was announced this week that a 26-year-old left-handed pitcher named Dustin Richardson had tested positive and been suspended for 50 games, the same pattern seemed to be in play. Yes, he had appeared in 29 games for Boston Red Sox in 2009 and 2010, before spending all of 2011 back in the minors, but not many fans knew who he was. But now more of them certainly do. For Richardson did not test positive for just one performance-enhancer. His test sample turned up five banned substances, a result that a spokesman for Major League Baseball acknowledged on Thursday was "unusual." Others were less understated in their reaction. "I've never seen a case like this, and we're talking about 30 years I've been doing this kind of work," said Don Catlin, an antidoping expert and former director of theÂ U.C.L.A. Olympic Analytical Laboratory. "I've had doublets andtriplets, but to have five, and have it cover three different subclasses of drugs, is unique, as far as I can tell." Richardson tested positive for three anabolic steroids - Methandienone, Methenelone and Trenbolone - that are fairly commonplace on their own, according to doping experts, but unusual in tandem. On top of those, he tested positive for Letrozole, a drug that blocks the enzyme responsible for the production of estrogen, a process that commonly occurs as a byproduct of anabolic steroid use and is linked to several undesirable side effects. Finally, Richardson also tested positive for amphetamines, which have been banned in baseball since 2006. Prescription medications like Adderall andÂ Ritalin, which are used to treat attention deficit disorder, can cause a positive test for amphetamines, although it was not clear what drug Richardson had in his system. Dozens of players in baseball have therapeutic exemptions so they can use medications like Adderall and Ritalin. Richardson does not. Dr. Gary Wadler, the immediate past chairman of the World Anti-Doping Agency's prohibited list and methods committee, said it was striking for so many substances to be identified in the same positive test, and added that medically prescribed steroids would never be combined this way. But he said the real-life practice of combining two or more anabolic steroids - called stacking - was not out of the ordinary among those who use performance-enhancers illegally. "There's a lot of voodoo out there that leads to this," Wadler said. "There are protocols from supposed gurus you can find by searching on the Internet, telling you how to combine steroids to maximize their benefits and minimize the adverse effects. But there's no real science behind any of it." Catlin said that combining steroids was particularly unwise. "You're at a greater risk, because each steroid has its own side effect, and they become additive on each other," Catlin said. "The chance of an adverse reaction increases." 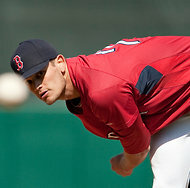 Richardson, a native of Newton, Kan., who stands 6 feet 6 inches, was drafted by the Red Sox in the fifth round in 2006. 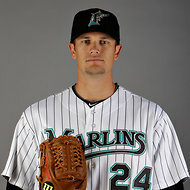 He made a brief major league debut in 2009, pitching in 3 games, and appeared in 26 more in 2010, all in relief. Over all, in 161/3 innings, he had a 3.31 earned run average and no won-loss record. In November of that year, he was traded to the Florida Marlins. He then spent all of 2011 in Class AAA, first with the Marlins and then the Atlanta Braves, who claimed him off waivers in June. The Braves released him this month, leaving him a free agent. Richardson did not return several phone calls on Thursday. However, his mother, Debra, reached by phone at her home in Newton, said her son had taken responsibility for what he did and was redoubling his efforts to work toward a new contract. "He's very regretful," she said. "Dustin realizes it was the biggest mistake of his life." Richardson said her son was summoned for a random urine test on Nov. 15. Two weeks ago, he received a letter from the commissioner's office informing him that he had tested positive and would be suspended for 50 games should he sign with a new club. She said her son told family members that he had been given the drugs by an acquaintance at a local gym and that it was the first time he had used prohibited substances. "He was so ashamed," she said. "I'm praying someone will give him another chance." And someone might. He is, after all, a pitcher and a left-hander, as enduring a combination as there is in the sport.